There's no secret ingredient or miracle gadget that makes scars disappear. Many feel a hopeless vibe when they see acne overnight just because there are no instant remedies. However, don't get discouraged, though. It's a healing crisis which sometimes happens when things are worse for a while because you’re actually getting better. Try the below remedies. 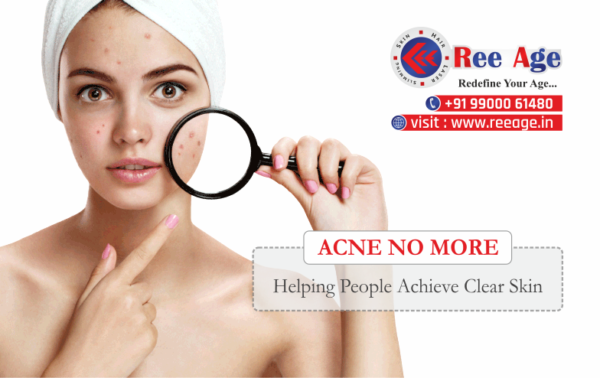 Acne blemishes are caused by a combination of clumps of dead skin cells, excess oil on the skin, and acne bacteria. Anything that inflames your skin can cause it to produce even more oil. The best way to deal with blemishes is to stop them before they start. You need to make sure that oils and hair products don’t drip down from your hair onto your face. It is also important to remove makeup every night. The products clog the pores stopping your skin from breathing. Long lasting makeup adds the friction when we are removing them. Therefore the gentlest treatments are best for acne blemishes on all skin types. Gently exfoliate your skin every day to remove hardened oils and to prevent spotting. The forehead is particularly an acne-prone area of the face. Your skin type affects the likelihood of forehead acne and how severe it could be. What comes into contact with your forehead could reduce acne. If your forehead acne is more around your hairline, it might be time to switch up your hair products.